RAD, a 3D post-apocalyptic rogue-like, is coming to Switch this Summer! Who knew the apocalypse could be this RAD? Bandai Namco Entertainment and Double Fine Productions are bringing RAD to the Nintendo Switch this Summer! The announcement came as part of Nintendo’s Spring Nindies Showcase 2019 on March 20th 2019. 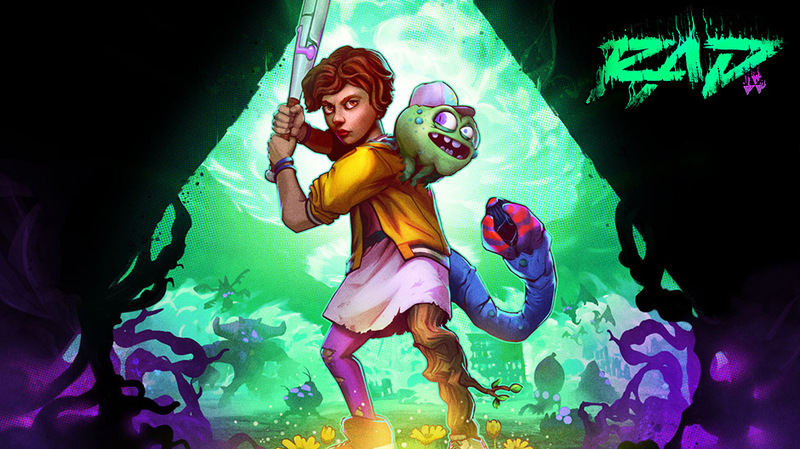 RAD is a 3D rogue-like action game set in a waste-filled world that’s seen the apocalypse twice over. Pitched as a post-post-apocalypse title, players jump into the oddly-matched shoes of a teenager who aims to restore humanity and bringing the land of the Fallow back to prime form. Be wary of your surroundings though, as exposure to environmental toxins may cause you to take on some interesting forms! Grab your bat, learn some new abilities and save the world! RAD is touting procedurally generated environments that “grow as you go,” opening pathways as you restore humanity as you knew it. In addition to warping your dashing good looks, toxins can also grant your character interesting new abilities that may assist in your journey. Upgrade your bats and style in order to look a cool as possible as your journey for greatness progresses. Test your skills in online leader-boards and show the world just how RAD you really are! Many will fall, but one will emerge a hero and save the Fallows from yet another apocalypse! RAD is scheduled to release on Nintendo Switch at some point in Summer 2019. The game is also slated to hit PlayStation 4, Xbox One, and PC around the same time. If you want to get an early look at the action, then be sure to check out the RAD announcement trailer below!